Dallas Area Rapid Transit (DART) was ready to refresh its existing data backup appliance and software to take advantage of the newest IBM Spectrum Protect™ features and STORServer’s turnkey solution. Since the initial implementation STORServer completed for the regional transit agency in 2010, the features of the IBM Spectrum Protect, formerly IBM® Tivoli® Storage Manager (TSM), software have been greatly enhanced, including the change of the underlying software database to DB2®. The availability of this robust DB2 database, as well as IBM Spectrum Protect’s new deduplication feature designed to reduce backup storage requirements, prompted DART to upgrade its existing data storage configuration. It was imperative to select the right partner for its data backup needs, as DART relies heavily on the data collected and reported by its radio and CAD/AVL bus dispatch system. The data tracks important metrics like on-time performance, which is analyzed and used in planning for scheduling, route assignments, vehicle assignments and to make other critical decisions. Because the existing configuration STORServer installed and implemented had worked seamlessly with the agency’s data backup needs for this dispatch system, DART’s IT team trusted STORServer’s recommendations for this upgrade. 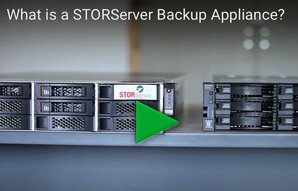 Primary Backup: STORServer EBA852 – This enterprise backup appliance with SSDs enabled the agency to take advantage of new features, like deduplication, now available in IBM Spectrum Protect. The IBM Spectrum Protect database is now housed on SSDs in the appliance with faster processing power. In this configuration, 20TB of Storwize® V3700 disk storage was included. The primary backup data is kept on disk for quick restore and to take advantage of Spectrum Protect’s deduplication feature, which reduces backup storage requirements. This configuration also includes IBM Spectrum Protect Suite licensing, which offers simplified pricing and licensing with a tiered per-terabyte metric. This licensing enables the agency to have access to a suite of backup software products, including database and mail agents, along with IBM Spectrum Protect™ for Virtual Environments, should the agency need to enable that in the future. Disaster Recovery: IBM TS3100 Tape Library – This entry-level tape library, which was previously installed by STORServer in 2010, is now used for disaster recovery copy purposes. Reusing this existing library provided flexibility and reduced the costs associated with the appliance server refresh. As part of the agency’s disaster recovery plan, the tapes are taken offsite every day. Incremental backups also take place daily. The appliance server and configuration recommended by STORServer allows DART to plan for future data growth, as additional external storage can be added as needed to the appliance server. With the newest Spectrum Protect and STORServer Console (SSC) versions included as part of this upgrade, DART can now manage and move its data more efficiently. Highly scalable to future-proof the agency’s needs, Spectrum Protect also reduces backup and recovery infrastructure costs. SSC is designed to let administrators configure and manage their Spectrum Protect environment with a single, intuitive user interface. It also helps users save time, reducing daily administration tasks to less than 30 minutes per day. Even as DART experienced 40 percent data growth since the implementation, the deduplication capabilities enabled them to use 38 percent less storage. Data is now moved more efficiently, allowing for best implementation of data protection business practices. Automated delivery of daily reports allows for easy review and confirmation that backups have completed successfully. These reports can be individually tailored and distributed to multiple levels within the organization.